Travelling to Antarctica is one of the most exhilarating adventures on the planet. Antarctica is its own world; a remote land; an ecosystem of contradictions; remote yet teeming with wildlife; ethereal and serene yet constantly moving and evolving and at the forefront of heroic exploration. Operated by the leaders in Antarctic tourism and travelling with some of the most experienced Polar guides and expedition teams, you will experience so many firsts, take in amazing landscape and wildlife opportunities and visit numerous historic sites. 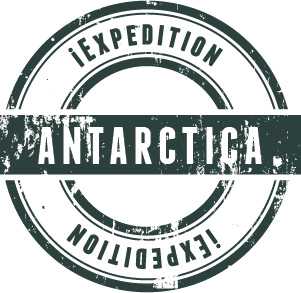 Our expeditions to the Antarctica Peninsula, range from 6 to 21 days. Departing from South America to the Antarctica Peninsula and South Georgia the choice is across a range of 27 expedition vessels and over 400 departure dates. From Australian and New Zealand our expeditions to the Ross Sea and Commonwealth Bay, as well as Mawson’s Hut are true expeditionary voyages. Ranging in length from 26 - 35 days and will transport you back to heroic status. No matter which itinerary you choose you are certain to experience a wonderful array of wildlife including sea elephants and sea lions; Weddell, Crabeater and Leopard seals; Minke and Orca, Humpback whales and magnificent Wandering albatrosses. Don’t miss your chance for a whiskey or water refreshed by virgin Antarctic ice. Trendy bars throughout the world can double the menu price for adding glacier ice to your drink. In Antarctica it is abundant. What an amazing way to contemplate your Antarctic expedition than with a noble drink as your expedition vessel heads back to port. You will receive a warm welcome from both the resident volunteers and the colony of raucous Gentoo penguins. The original structures and buildings are in place and house the volunteers. Remote and isolated with limited internet and no TV, the volunteers relish the expedition vessel visits. The souvenir shop takes credit card and USD (small denominations) so you can send postcards to your family stamped with an Antarctic stamp from the southernmost Post Office in the world. One of Antarctica's many jewels! Antarctic Peninsula: Lemaire Channel – get your camera ready! In a continent of stunning views Lemaire Channel has been called the Kodak Gap. Locked between the rocky vertical cliffs of Booth Island and the continent this one kilometer wide passage is one of the most photographed attractions of Antarctica. You will be glad your camera is digital. The moment you step foot across the Circle, you will have a sense of awe knowing you have just trodden where few have gone before. When you are this far south nature bares its secrets and you are amongst the privileged few who are able to bare to witness to the wonders of mother-nature. Walk amidst tens of thousands of King penguins. Hike in the footsteps of ‘The Boss’, Sir Ernest Shackleton. Learn about his tale of survival and his brilliant leadership. South Georgia is where history books come alive and you step into your own historic and heroic adventure. It is the home to 5 million breeding pairs of Macaroni penguins; massive rookeries of nesting King penguins. Great Wandering albatross; the beautiful song bird - South Georgia pipit; the South Georgia pintail duck the only carnivorous duck in the world. South Georgia is Isolated, remote and protected! Wildlife on a grand scale! McMurdo Dry Valleys in the Transantarctic Mountains are the world’s most extreme deserts. A bizarre and fascinating place comparable to the planet Mars. 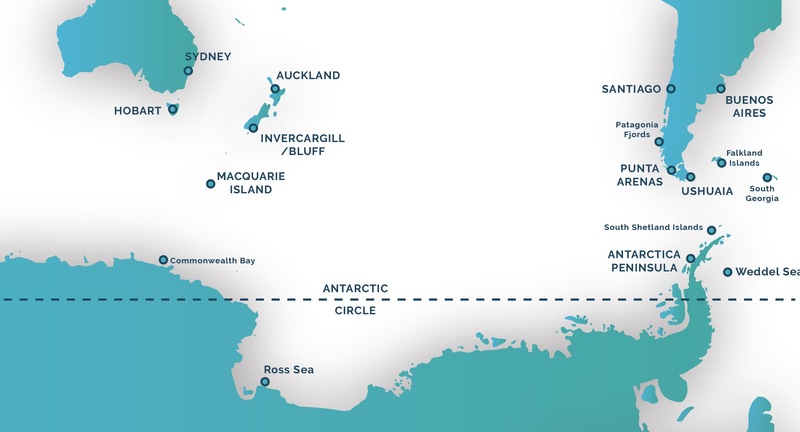 Follow in the footsteps of Sir Douglas Mawson. Visit beautiful Macquarie Island with tens of thousands of King penguins. Step inside the well preserved Mawson’s Hut in Commonwealth Bay and relive the deep south in the spirit of Mawson, Scott, Shackleton and Amundsen. Photogenic, inquisitive and comical, penguins are the consummate charmers of the Antarctic. On a typical voyage to the Antarctic Peninsula you can expect to visit rookeries of gentoo, chinstrap and Adélie penguins. A penguin’s white belly and black backs, is their means of camouflage in the water. From above the penguin’s black backs seamlessly blend with the darkness of the open ocean, while their white bellies give little away from prey deep below looking towards a bright surface. Fortunately for us, penguins are mainly hunted at sea or from the air. So in most of their habitats there are no land-based predators, which means they are not fearful of humans whatsoever. Five seal species - the Antarctic fur seal; Weddell seal; elephant seal; leopard seal and crabeater seal are regularly seen. Most often hauled out on ice floes or beaches they make appealing subjects for photography. If you are fortunate you may encounter one of these sleek predators swimming nearby as they lookout for a penguin happy meal. Hunting of the Antarctic Fur Seal brought the species within a couple of hundred remaining animals at the turn of the 20th century. Their numbers now are well over 2,000,000 and there is no concern with their extinction. It is thought that the baleen whale, may have aided the Antarctic Fur Seals recovery, because they competed for Krill. Whale numbers swell in Antarctica over the southern summer. Arriving in Antarctica from November onwards, whale numbers reach their peak around December and January. Sightings and particularly breachings reach a pinnacle in February and March, when the Krill is closer to the surface. Some 10 species of whales are found in Antarctic water each summer. The most abundant species is the Humpback whale. Ten species of whale migrate to the Antarctic each summer including Blue whales, Fin, Southern right whale, Sei, Minke, Humpback whales from the baleen species. Of the toothed whales, there are four species; Orca, Southern Bottlenose, Southern Fourtooth and the Sperm whale. The best whale opportunities are between January to March. Graceful and effortless, the Wandering Albatross glides across the Southern Ocean to their nesting sites on South Georgia. With the largest wingspan of any bird, they are spectacular in flight and on the ground. Wandering albatross mate for life. They return to the same place and the same partner each year for their breeding cycle. The Wandering albatross has the largest wingspan of all bird species and are renowned masters of flight. These majestic birds are able cross hundreds of kilometers of open oceans, without a single flap. They are the only species to have this ability and considering their size it is a remarkable feat. Unlike Antarctica the majority of species on South Georgia are non-migratory. Due to its position and close proximity to the Antarctic convergence. South Georgia is an ideal destination to visit at any time during the Antarctic season. Due to the massive ice shifts in East Antarctica the Adelie penguin population has been significantly reduced. The movement of the has has impacted the penguins pathway to the sea. It is indeed a to see the remaining Adelie penguins in this area. Adelie penguins are one of the most abundant penguin species. There estimated to be some 5 million birds. They have been an incredibly successful species living further south than any other species and have one of the oldest continually used rookeries is over 6,000 years. A unique opportunity to experience Antarctica like the earliest explorers. Camping overnight on the ice you hear the sounds of Antarctica as you fall asleep. You wake to the raucous penguins preparing to feed hungry young chicks. Most of our expeditions will have a photographer on board. However, some expeditions offer more advanced photography programs than others. Please ask if photography is a major focus of your experience. Usually offered in the first half of the Antarctic season, with an experienced guide snowshoeing allows you to explore further afield from the main group. Internationally qualified climbing guides, will lead you on Alpine ascents. You will take in panoramic Antarctic views experienced by a select few. Explore the foreshores of the Antarctic Peninsula by Stand up Paddle Boarding. If you have a love for the water, snorkelling in Antarctica provides an incredible glimpse into life beneath the surface on this amazing continent. Most Antarctic visitors will only see the tips of the icebergs. This is an unparalleled experience to dive beneath the surface and see the complete berg and Antarctic sea-life in their habitat. For the experienced and highly qualified only. You’ll have the opportunity to ski alpine Antarctic terrain. We have a variety of different ski programs from intermediate programs to high alpine programs for highly experienced skiers. There is no single definition of the Antarctic. The phrase ‘The Antarctic’ is commonly referred to and understood to be the continent of Antarctica along with its surrounding ice shelves, islands and seas. In geographical and geopolitical terms the Antarctic encompasses the whole area south of the 60th parallel. The word ‘Antarctica’ is sometimes used to mean the continent only. From a scientific point of view, the oceanographic and biological boundary formed by the Antarctic Convergence might be the most appropriate outer limit. Antarctica is the fifth largest continent with an area of roughly 14 million square kilometers. Most of this area is made up by a vast permanent ice sheet averaging 2,000 meters in thickness. Only about two percent of the total landmass is visible as mountains and coastlines. The continent is divided into two parts. The largest semi-circular part is called Greater Antarctica. Much of its edge lies conveniently along the Antarctic Circle in the Atlantic, Indian, and western Pacific Ocean sectors. The curved tail, which is made up of an expanded land mass at its base is known as Lesser Antarctica. A long narrow part named the Antarctic Peninsula, extends some 1,200 kilometers towards the southern tip of South America. This is located in the eastern Pacific Ocean sector. Greater Antarctica is mostly covered by ice. In some coastal areas jagged mountains project through this covering. The Antarctic Peninsula, on the other hand, is a long chain of alpine mountains topped by an ice plateau and sculpted by many active glaciers. Most of the coastline actually consists of ice cliffs. But there are some areas, particularly on the Pacific Ocean side, where one encounters exposed rocky shorelines. The magnetic South Pole was first reached during Shackleton’s British Antarctic Expedition (1907–1909) by Professor Edgeworth David and Sir Douglas Mawson (Australian geologists) and Alistair Mackay who claimed the surrounding Victoria Land for the British Crown. At that time the magnetic pole lay within the Antarctic continent at latitude 71.6°S and longitude 152°E. Today (2002) it lies far out to sea at latitude 65°S and longitude 139°E and travels 10 to 15 km north-westerly each year. Electric currents and the rolling motion of the liquid iron core of the Earth dictate the position of the magnetic poles. The pole wanders daily in a roughly elliptical path around this average position, and may be as far as 80 km away from this position when the Earth’s magnetic fi eld is disturbed. The Pole of Relative Inaccessibility is the center of the continent as measured by its distance from the coasts. It is located at latitude 82° 06’S, longitude 54° 58’E, also in the Australian sector. Is Antarctica colder than the Arctic? Antarctica is also the windiest of the continents. Apart from global wind currents, Antarctica actually creates its own wind systems. Cold dense air essentially slides from the high interior ice fields towards the lower areas along the coasts. At the edges of the ice plateau the winds accelerate, thereby lifting and blowing clouds of snow high into the air. The strongest winds are habitually found on the long coastal slopes of Greater Antarctica. Some coastal areas endure almost constant strong winds, whereas other areas may be quite calm much of the time and then suddenly experience hurricane force winds as air rushes down through glacial valleys. These sudden and unexpected winds are called katabatic, or down slope, winds. Antarctica is the driest continent. By definition, most of the continent is a desert. There is very little precipitation each year in the interior, and the vast amount of ice and snow which make up the polar ice cap has accumulated over many millions of years. The mean annual accumulation for the entire continent amounts to less than five centimeters (two inches) of water equivalent, which is just slightly more than that of the Sahara Desert. But some coastal areas, particularly the west side of the Antarctic Peninsula, receive much more precipitation. The tip of the Peninsula receives about 90 centimeters (35 inches) of water equivalent each year. Here and in the South Shetland Islands it may rain, sometimes quite heavily – a typical maritime climate. There are some interesting atmospheric phenomena - halos are caused by refraction and reflection of light from the sun or the moon on water droplets or ice crystals suspended in the air. They result in the appearance of three ‘suns’ or three ‘moons’ in a parallel line above the horizon. The central image of the three is the real one; the others are optical illusions. These spectacular occurrences are best seen when the sun or the moon is between 15° and 20° above the horizon. Mirages, caused by the refraction of light on layers of hot and cold air, are also common. Perhaps the most remarkable atmospheric sight is the incredibly beautiful Aurora Australis, or southern lights. This electromagnetic phenomenon is the southern hemisphere equivalent of the better known Aurora Borealis or northern lights. It is, however, not often easy to see. All activities undertaken in Antarctica, including tourism and science, are governed by the Antarctic Treaty and its associated agreements. The fundamental premise of the Antarctic Treaty is establishing Antarctica as a zone of peace and science. In 1991, the Antarctic Treaty Consultative Parties adopted the Protocol on Environmental Protection. The Protocol sets out environmental principles, procedures and obligations for the comprehensive protection of the Antarctic environment and its dependent and associated ecosystems. The Consultative Parties have agreed that as far as possible and in accordance with their legal systems, the provisions of the Protocol should be applied as appropriate. The Environmental Protocol applies to tourism, non-governmental and governmental activities. The intention to ensure that all the activities do not have a negative environmental impact on the Antarctic environment and its regions. The Guidance for Visitors to the Antarctic is intended to ensure that all visitors are aware of and therefore able to comply with the Treaty and the Protocol. Visitors are of course, bound by their own national laws and regulations applicable to activities in the Antarctic. The Antarctic Treaty System is the whole complex of arrangements made for the purpose of regulating relations among states in the Antarctic. At its heart is the Antarctic Treaty itself. The original Parties to the Treaty were the 12 nations active in the Antarctic during the International Geophysical Year of 1957-58. The Treaty was signed in Washington on 1 December 1959 and entered into force on 23 June 1961. The Consultative Parties comprise the original Parties and other States that have become Consultative Parties by acceding to the Treaty and demonstrating their interest in Antarctica by carrying out substantial scientific activity there. The Antarctic Treaty applied to all areas below 60°S, including all ice-shelves and islands. How many scientific stations are in Antarctica? There are a number of governments that have national programs, who maintain permanent research stations in Antarctica. These bases are widely distributed and permanent structures established on either rock or on ice. Around the Ross Sea and Commonwealth Bay regions the Antarctic ice sheet sets atop a major landmass. Whereas in West Antarctica, the ice sheet extends over 2,000 feet below sea level. Explore the significantly different regions of Antarctica and the sub-Antarctica islands below and arrive at some of the world's greatest wildlife sites, explore the 7th continent, her many islands, mountains, glaciers and of course wildlife on a grand scale. The Akademik Vavilov's most far-reaching polar expedition, taking in three different locations including one of the greatest wildlife shows on earth. Antarctica has been inspiring explorers for centuries, this expedition offers you the chance to discover why onboard Ocean Endeavour for an unforgettable journey. This South Georgia & Antarctica itinerary skips the Falkland Islands allowing for a shorter and more affordable voyage. With only one sea crossing this new FLY/SAIL voyage, you'll enjoy the very best of the Antarctic Peninsula.